Summer Holiday family Story-telling Music and evening fun! 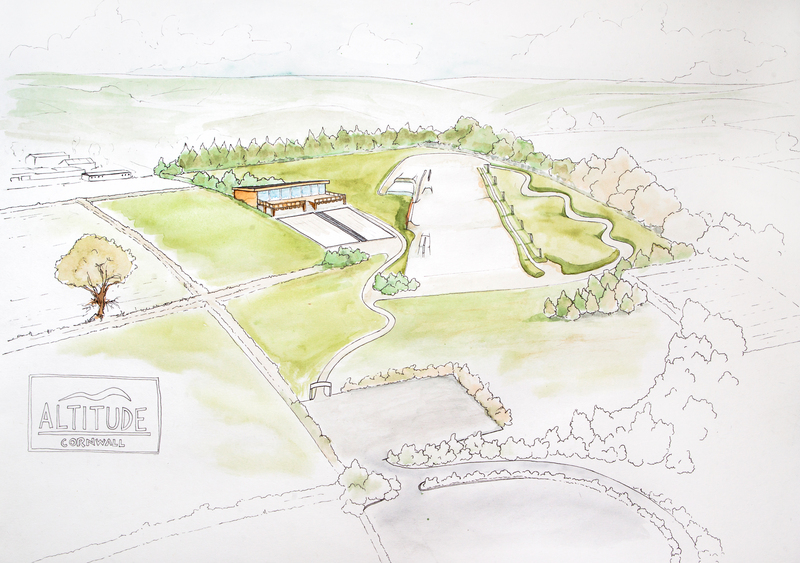 Our Future plans – situated high above East Crinnis Holiday Park on the Farm! Altitude Cornwall will be the Cornwall’s first ski and snowboard centre and will be the biggest in the south west of England. 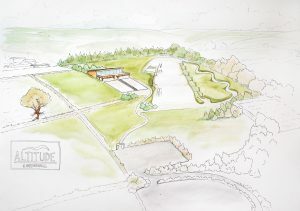 Set at East Crinnis Farm near to St Austell the slopes and hub building will offer a panoramic view of St Austell bay. The Park will consist of a small nursery slope, tubing run, a larger, and steeper slope approx. 120 metres long with a separate section of ramps and rails for the more experienced riders. The main building will have a restaurant, bar, and hire centre and changing facilities. Altitude Cornwall will offer the first winter sport and also an additional tourist attraction within Cornwall that is usable in all weather conditions. The ambition is to also extend the traditional tourist season by appealing outside of the busy summer months. The Park will offer all year round employment through the ski and snowboard facility but will also offer an excellent restaurant, with conference and wedding facilities. . The park will have an indoor training facility to develop more technical aerial manoeuvres and be a fun indoor soft play area on wet days. Altitude Cornwall will bring ski and snowboard to the UK’s premier surfing and extreme sports destination where there is already a massive appetite for board sports within South West England. It will be a unique destination that is inclusive for all and will be the Southwest’s premier artificial snow park. Conservation will be in keeping with East Crinnis Farm’s ethos of protecting the wildlife and increasing biodiversity in Par Moor. The build will also mean creating woodland park, park land and another wet land, similar to the pond created in 1998 to the south west of the farm. The Ski and Snowboard Park will be very inclusive to the local audience, as we want to make sure the youth in the wider St Austell area have the opportunity to participate. Altitude Cornwall will develop an academy to produce talent, with mentoring and youth development schemes. The ambition is produce talent capable of competing for Great Britain internationally and ultimately at the winter Olympics. The youth development will also be aimed at recruitment in hospitality therefore learning skills so they can travel and work internationally in winter resorts across the globe. The park will have clubs, parties and group activities that are daily weekly and residential based. In short we want to encourage healthy lifestyles and more time for children outside away from games consoles, mobile phones and social media. We hope to submit a full planning application over the winter of 2018/19 and hopefully building work and landscaping can begin in 2019! If you wish to get in contact and find out more, feel free to call or email us.